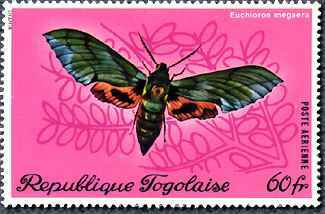 DESCRIPTION This beautiful sphinx moth is also known as the Verdant Hawk moth of the family Sphingidae. It's clever camouflage makes it difficult for predators to detect. They have narrow wings and a streamlined abdomed which sustains a rapid flight pattern. 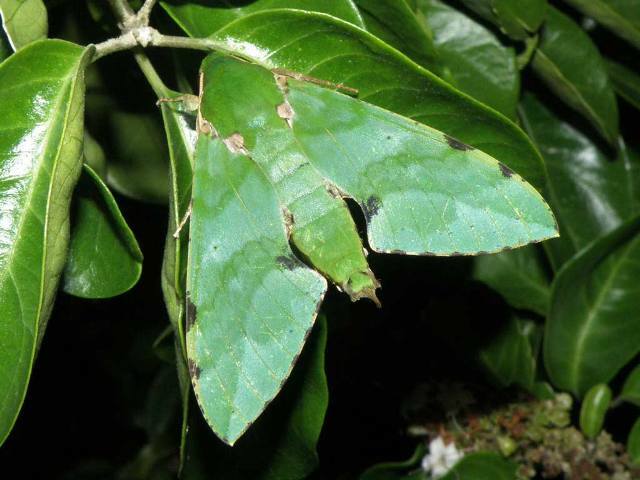 They are large moths with a wingspan of up to 12cm.